You are here: Home > Spring training games begin today! The Phillies are hosting the University of Tampa Spartans in today’s MLB spring-training opener at Bright House Field. Game time is 1:05 p.m.
Click here for a link to the online game broadcast. Games will continue tomorrow in the Grapefruit League, while Cactus League games begin March 1. 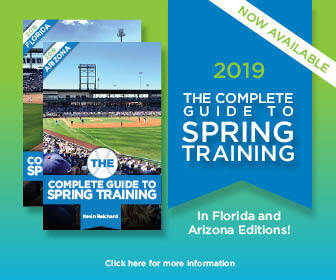 Our spring-training schedule begins March 2 at Goodyear Ballpark.